the case of Kowelt. It, again, is a case of 'bargaining. Company see no special objection. gather that the Company would not see odjection to this. 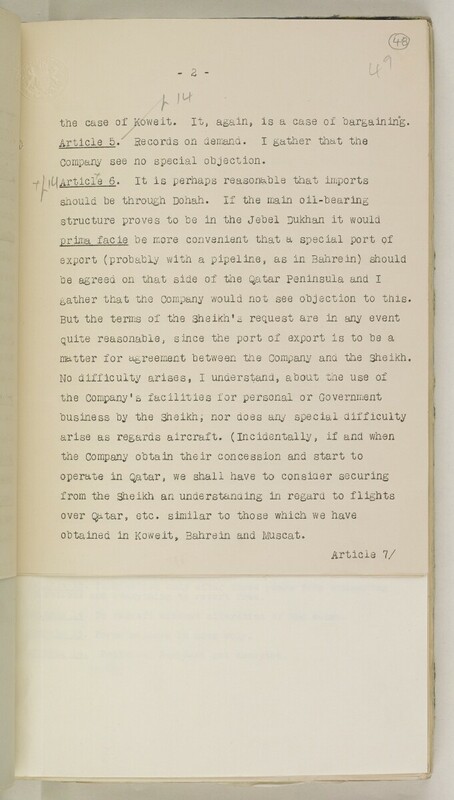 matter for agreement between the Company and the sheikh. obtained in Kowelt, Bahrein and Muscat.